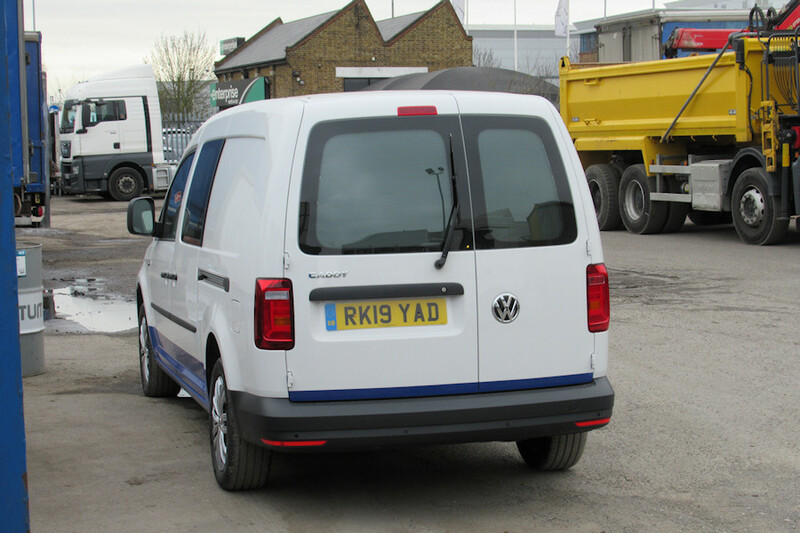 Details: Also seen at Cordwallis in Bedfont, this time on 23rd March 2019 was VW Caddy Maxi crew van RK19YAD. Part of a batch of at least seven similar vans, they were licensed and delivered to Acton over the following week, with at least one (RK19YAE) subsequently noted in LUL livery. Fleetnumbers are not yet known. Note that Caddy Maxi vans are actually badged as plain Caddy, although the extra length is usually noticeable.